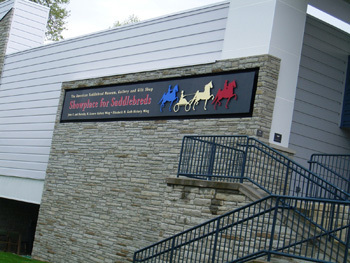 The National Saddlebred Museum at the Kentucky Horse Park honored Elaine and her horses with a special exhibit in the new Versatility Wing of the Museum! 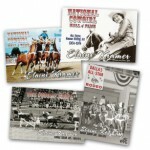 All of Elaine’s horses were Saddlebreds, which explains their flash, flair and excitement. 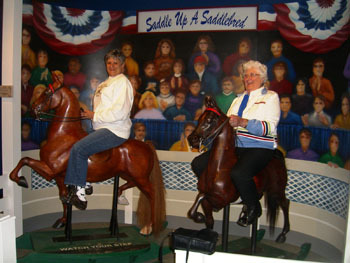 The Museum staff report that the display and Elaine’s video “Dreams to Reality” are their most popular exhibit. 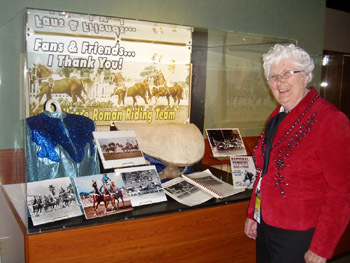 It entertained thousands of visitors to the World Equestrian Games in 2010 and it will become a permanent part of the Museum’s displays. 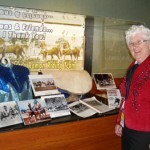 These pictures are of Elaine visiting her exhibit in April and September 2010. She also had the great pleasure of meeting Singsation and Darryl Leifheit. 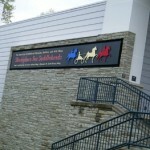 They are also honored in the Versatility Wing of the Museum. 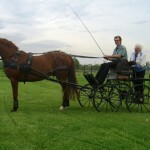 Singsation has won honors in halter, five gaited pleasure, fine harness and now as a combined driving horse! 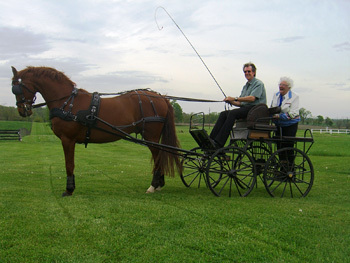 He won the big national combined driving competitions this year. 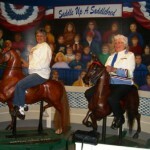 Elaine had the opportunity to meet him in person and go for a little ride.